What do you call the person who draws the pictures in books? The Prince of Pictures according to one Nottingham pupil! 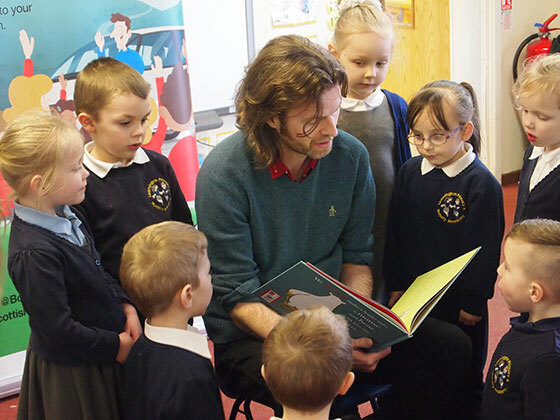 Children in Nottingham were in for a treat when Ross ‘Prince of Pictures’ Collins visited them this January as part of the Scottish Friendly Children’s Book Tour. Pupils were very excited that Ross had travelled all the way from Scotland to visit them, but were quite disappointed to find out that Glasgow wasn’t actually as far north as the North Pole. The schools had done some fantastic projects inspired by Ross’ visit. One school invited parents to a special retelling of There’s a Bear on My Chair, complete with actions and costumes. 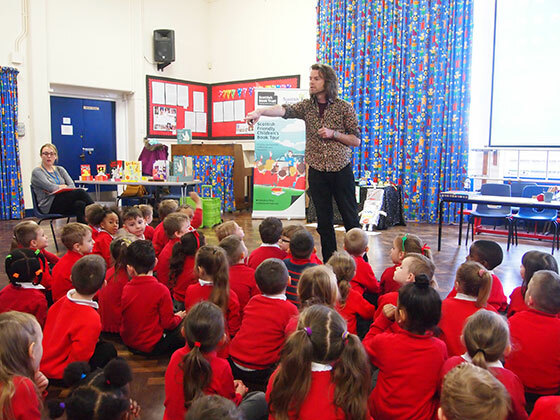 At another school, pupils had created their own robots and written stories about them inspired by Robot Rumpus. A huge thank you to Ross and to all of the schools we visited for a fantastic week! For those not lucky enough to go to school in Nottingham we ran a competition to win a copy of Ross’ latest picture book, the beautiful ‘There’s a Bear on My Chair’. Congratulations to our winner Sheila in Norfolk! 60% of pupils bought a book! 500 terrifying monsters drawn by pupils. 1 re-telling of ‘There’s a Bear on my Chair’ performed in Ross’ honour!